So you’ve got a great story in mind, but maybe you aren’t much of a writer. Or maybe you just don’t have the time to get it done. For whatever reason, you’re considering hiring a ghostwriter. Congratulations! When I started freelancing full time, I never expected the vast majority of my work to be ghostwriting. I’ve done many different kinds of work, but my calendar these days is chock-full of stories to write for others. I love doing it, and I feel that it only enhances my craft, but along the way I’ve noticed a few things that would make things go a little more smoothly. While there’s a lot you can do to prepare for the ghostwriting process, here are my top 5. Know What You Want – If you know there are certain plot points or scenes that you want in your story, then you need to tell the ghostwriter up front. I can’t tell you how many times I’ve been asked to do a story, only to have the client come back and say, “Oh, but I wanted my character to do this.” Sometimes it’s more difficult to go back and rework a scene than to just write it correctly in the first place. You can’t expect Burger King to make your chicken sandwich with extra bacon if you don’t tell them that’s what you want. Give yourself some time with your story so that you understand everything from the tone to the color of your main character’s shirt before you hire someone to write it. Understand Stylistic Differences – The writing world is not an objective one. While there are several standby rules that most people follow, everyone has different stylistic preferences. Your ghostwriter might have a different style of writing than what you’re looking for, and you should ask for samples so you know what kind of work he or she does. If possible, send over examples that show what you like. This goes back to telling your writer what you want, but it’s something that spans the entire story. Edits Aren’t Free – Well, they might be up to a certain point. Establish a contract with your ghostwriter that outlines how many times they will go back over a given piece of work before charging more. It takes time and effort to redo something, and you can’t expect a writer to do this for free simply because you’ve changed your mind. Know What You’re Doing – Ok, I know this is turning into a bit of a rant. The truth is that I’m very grateful for my ghostwriting clients, but this is one of my pet peeves. If you don’t know how to construct sentences correctly or the proper way to use punctuation, then don’t criticize the way your writer does things. I’ve had a client “edit” the work I sent in, only to add numerous comma splices and unnecessary phrasing. It’s obnoxious. Really. 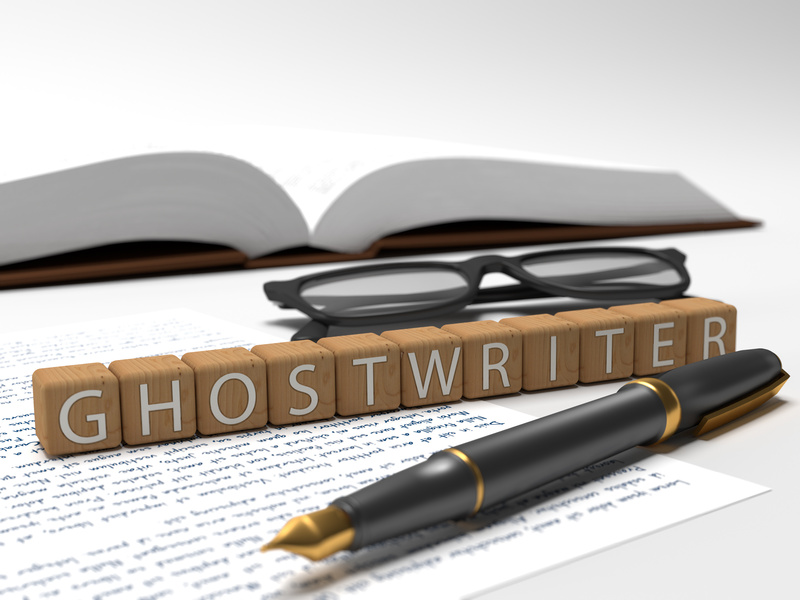 Be Honest – If your ghostwriter is doing things that you genuinely don’t like, tell them as soon as possible! Don’t slog along through an entire novel and wait until the end to ask them to change things. With that in mind, I always think it’s a good idea to split a large piece into several sections so that you can provide feedback to your ghostwriter along the way. The big idea here is to make sure you’re really ready and that you’ve thought about all aspects of your story before getting started. Good luck!